Psoriasis is a skin condition where the nerves send faulty signals to the brains and mistakes skin cells as pathogens. 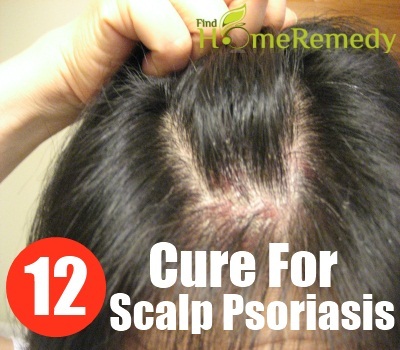 Being affected by psoriasis is difficult, but having scalp psoriasis is even tougher. However, there are many ways by which psoriasis can be treated naturally at home. Apple cider vinegar is a disinfectant which also eases inflammation and minor burns. Apple cider vinegar compress may be used to ease psoriasis and this compress can be prepared by adding one cup of apple cider vinegar to one gallon of water. This compress can then directly be applied to the infected area or an alternative method may be used which involves dipping a cloth in the compress and then applying the cloth on the infected area. Applying plastic wrap over the infected area also helps in curing psoriasis as it helps in keeping the medications in place and also allows the moisturizers to soak in deeper. 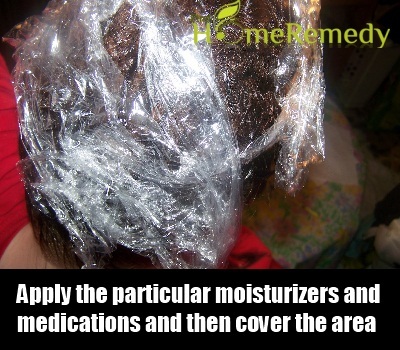 You can apply the particular moisturizers and medications and then cover the area with regular kitchen plastic wrap or special OTC wraps. However, care should be taken regarding the time for which these are wrapped because if they are wrapped for too long, the skin becomes soggy and susceptible to secondary skin infections. 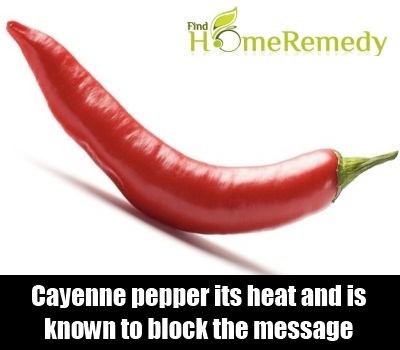 Capsaicin is what provides cayenne pepper its heat and is known to block the message system of sensory nerves; therefore helps in relieving pain and itching. A cream containing 0.25% to 0.75% capsaicin should be used and if the concentration of capsaicin is more, you may risk burning your skin. This cream should be applied to the area affected by psoriasis and the effect will be seen in a week. This cream should also be kept away from sensitive areas of the body as it causes intense burning sensation. 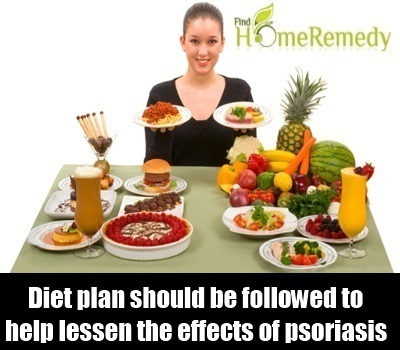 A healthy diet and a diet plan should be followed to help lessen the effects of psoriasis and also cure it. The following points may help in curing psoriasis. A wholesome diet with lots of vegetables, fresh fruits, whole grains and legumes should be maintained so that the nutrition level of the body is maintained. 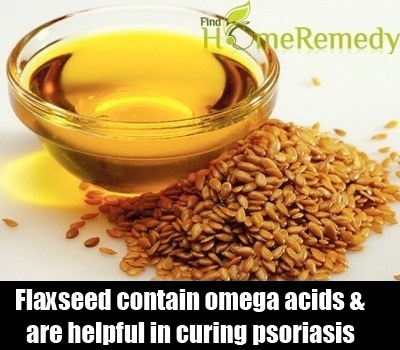 Fish oil and flaxseed contain omega fatty acids which are helpful in curing psoriasis and so they should be consumed for these. 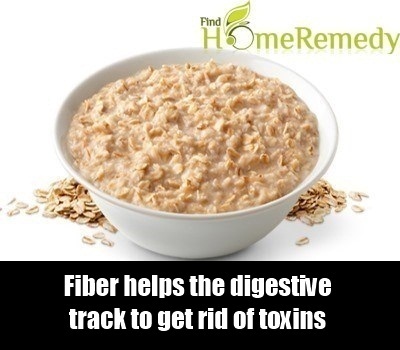 The meal should be rich in fiber because fiber helps the digestive track to get rid of toxins. 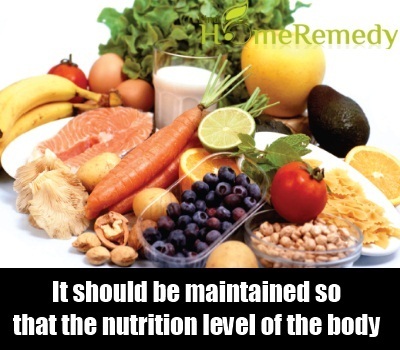 You should leave the peels on your fruits and vegetables because the peels are very rich in fiber. 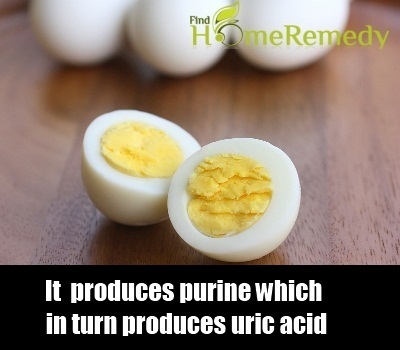 Meat and poultry should be avoided by psoriasis patients because meat digestion produces purine which in turn produces uric acid. Therefore, meat and poultry increase the acid content in a body and this leads in worsening of diseases and health conditions. 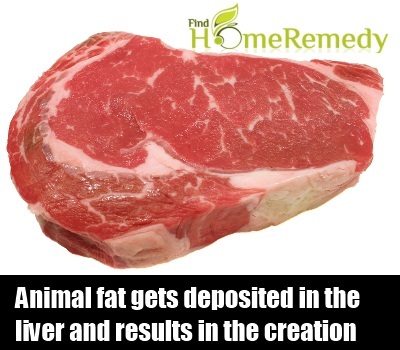 Animal fat consumption is not preferable for people affected by psoriasis because animal fat gets deposited in the liver and results in the creation of additional toxins which affect the skin and worded psoriasis. 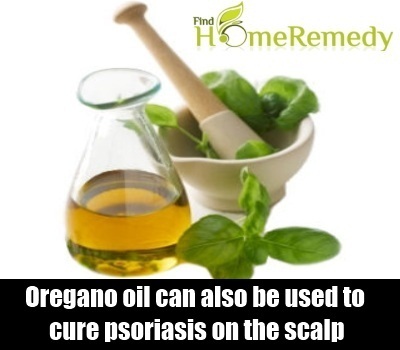 Oregano oil can also be used to cure psoriasis on the scalp. You should take 5-10 drops of oregano oil on your palms and rub it on the infected area and in some time you will see the psoriasis lessen. Oregano has anti-fungal, anti-bacterial and anti-viral properties and so it is a preferred option. 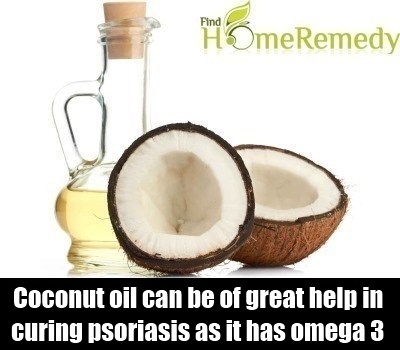 Coconut oil can be of great help in curing psoriasis as it has omega 3 and omega 6 acids. You should rub coconut oil on your scalp and then wash it with coconut shampoo. You may also consume coconut oil through your food by adding coconut oil to food.